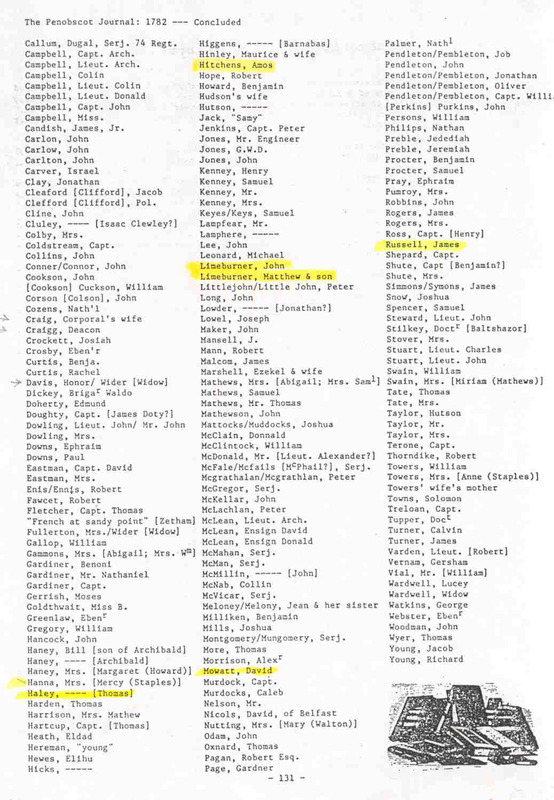 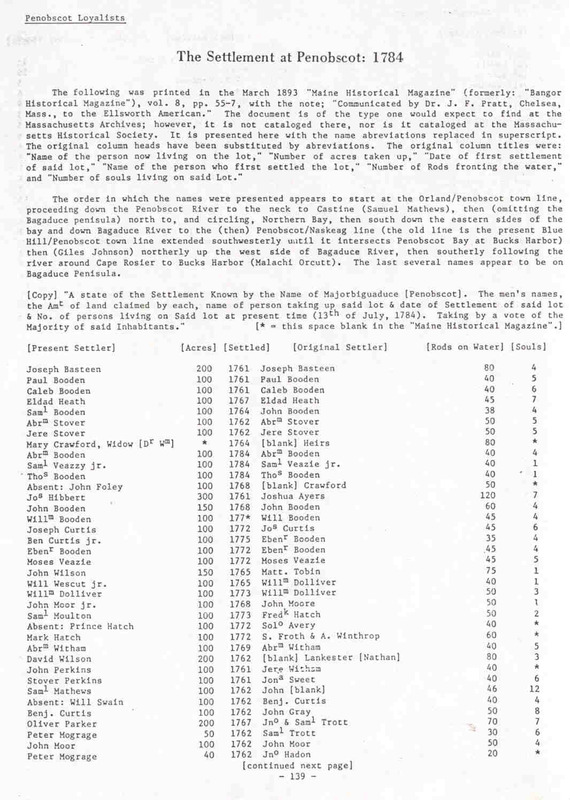 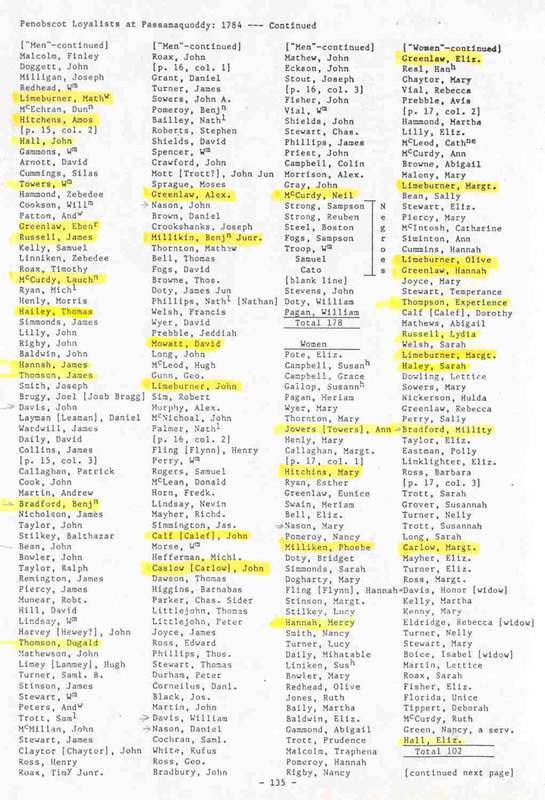 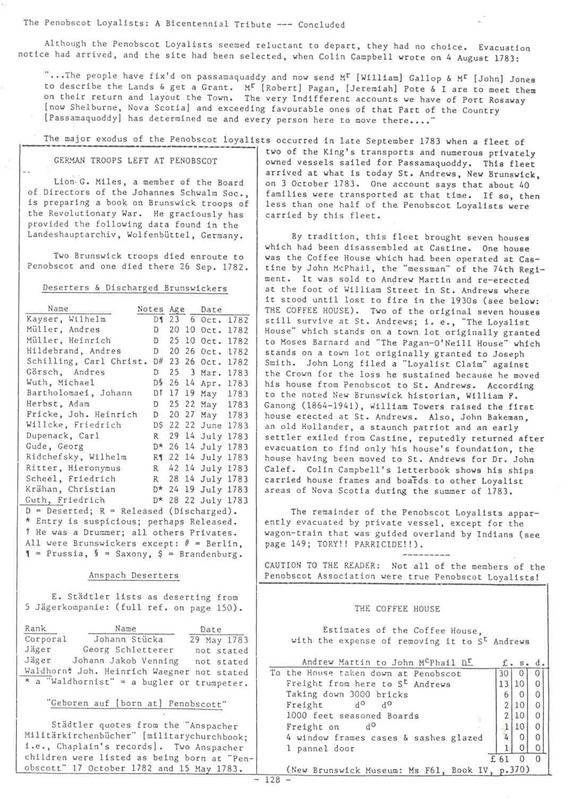 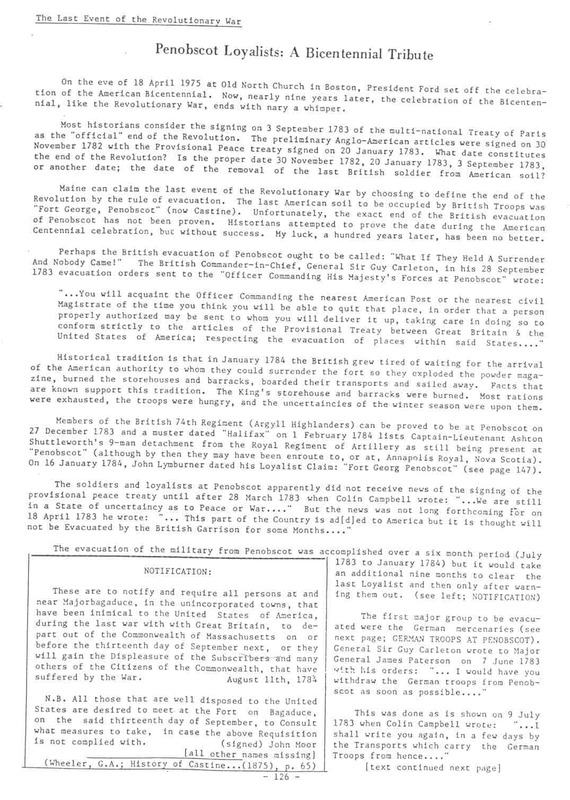 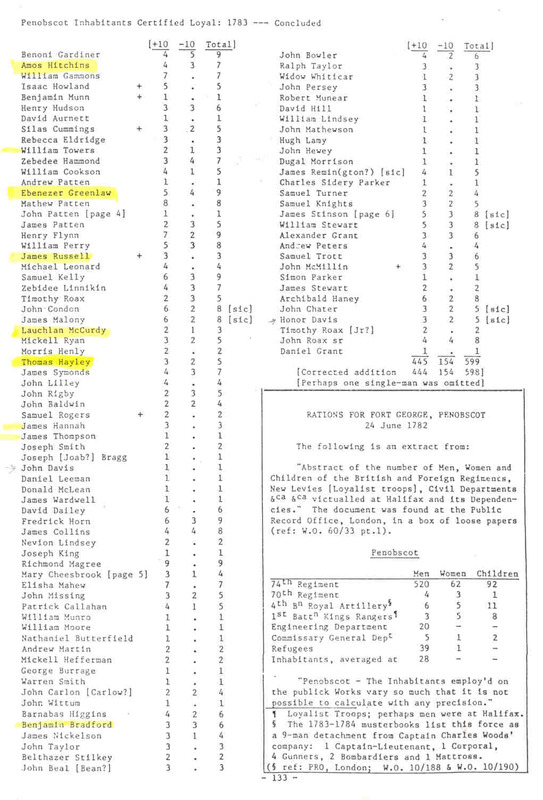 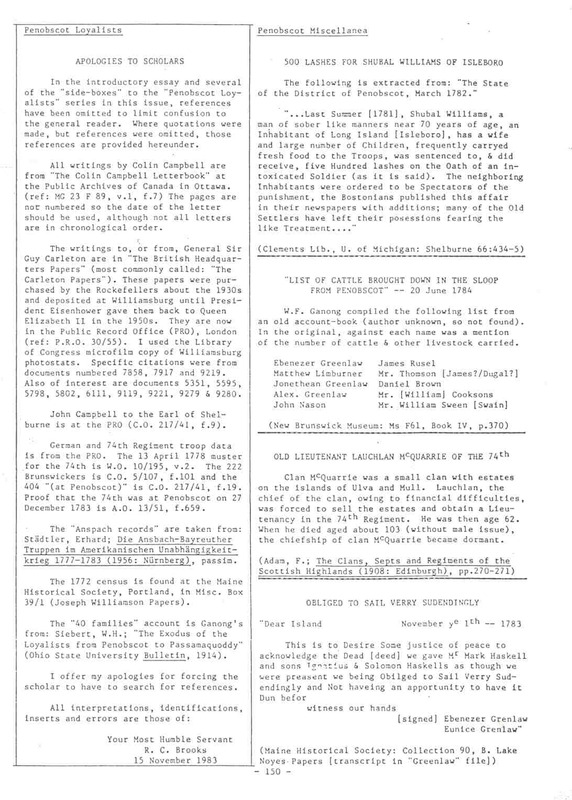 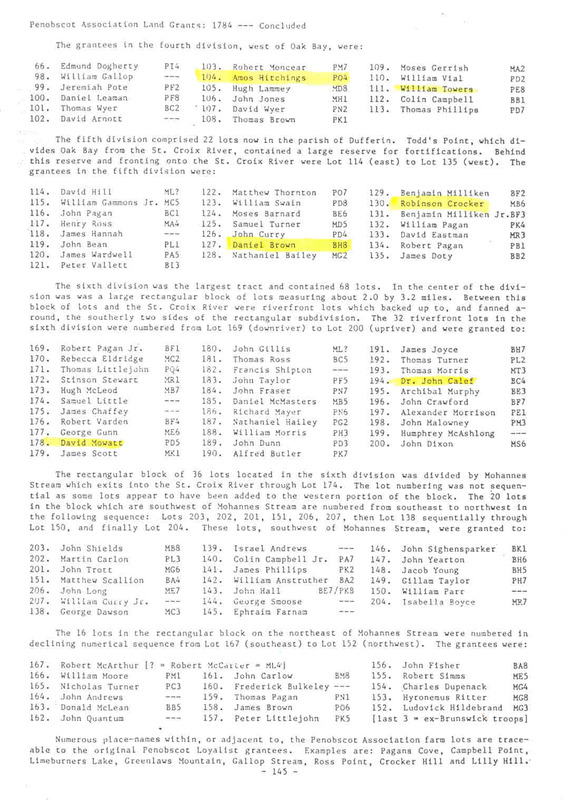 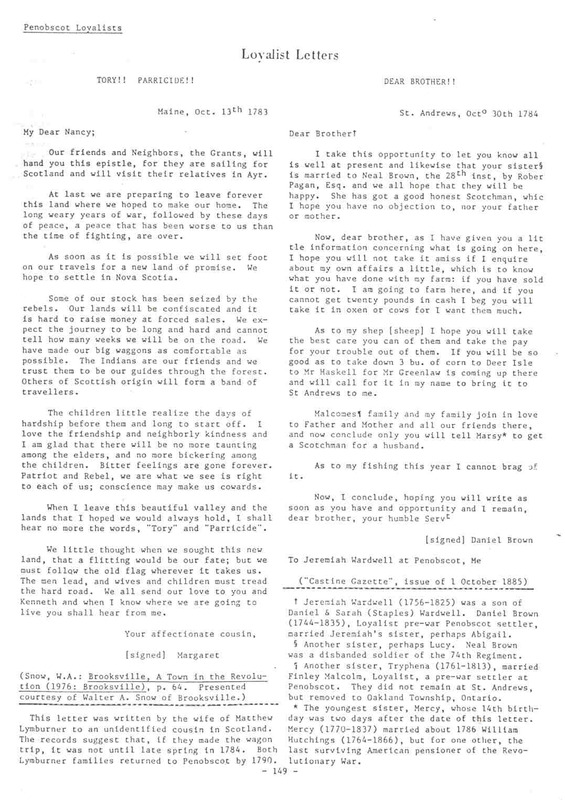 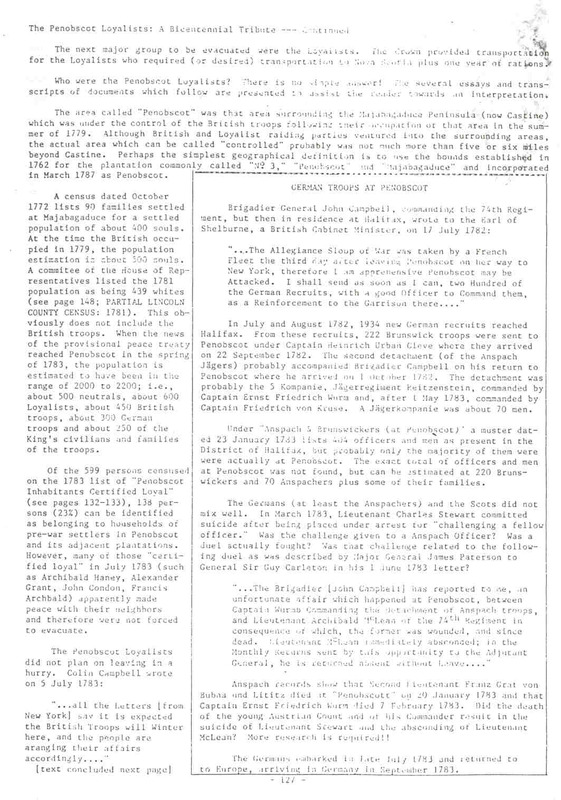 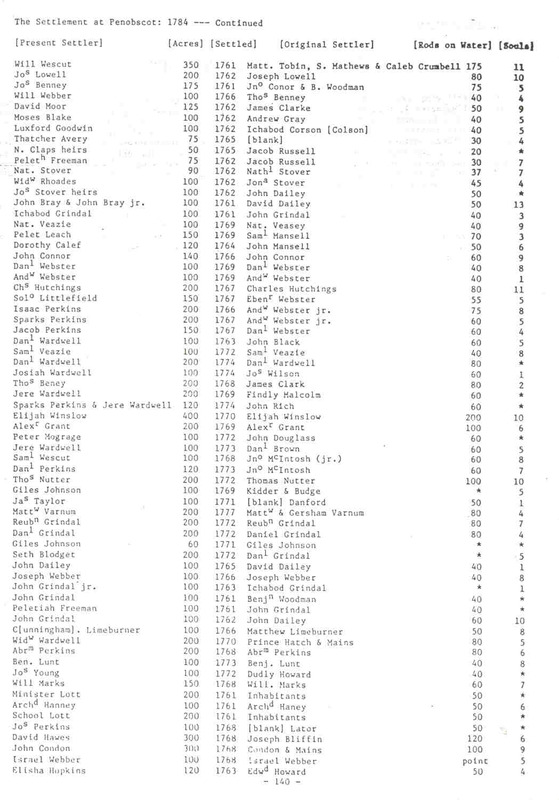 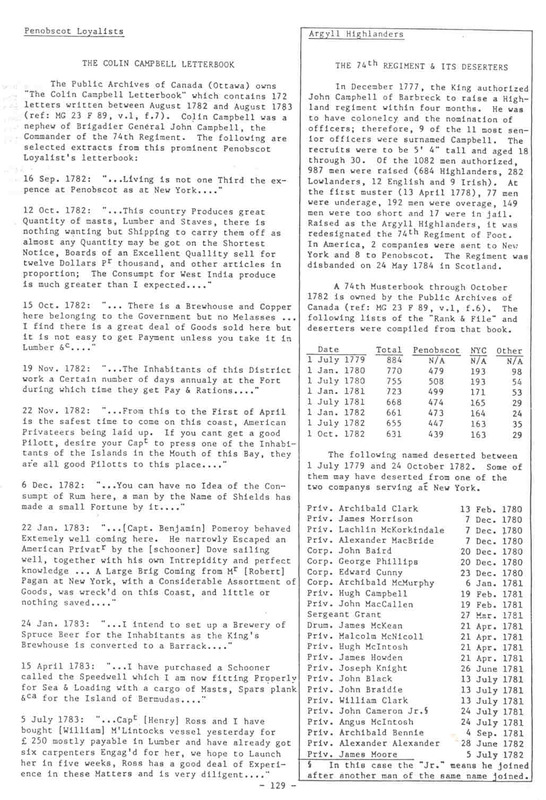 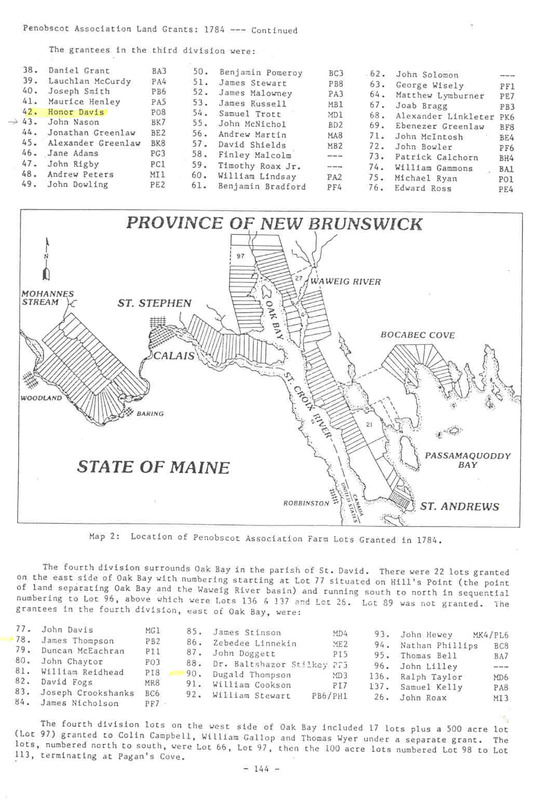 http://freepages.genealogy.rootsweb.com/~aek740/penobscot_loyalists.htm and linked scans. 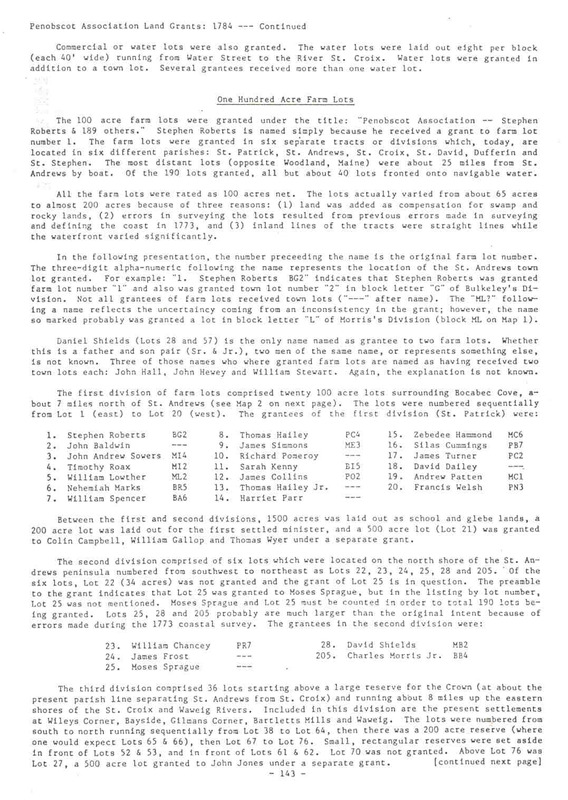 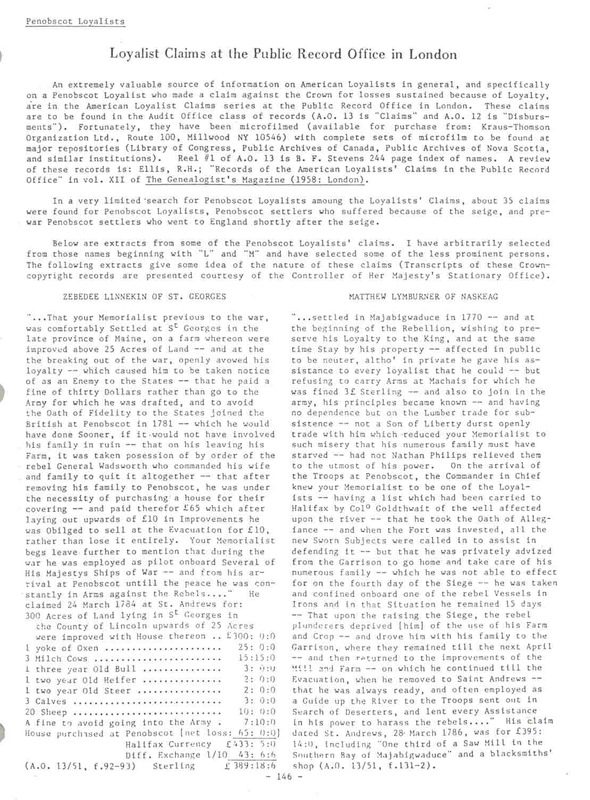 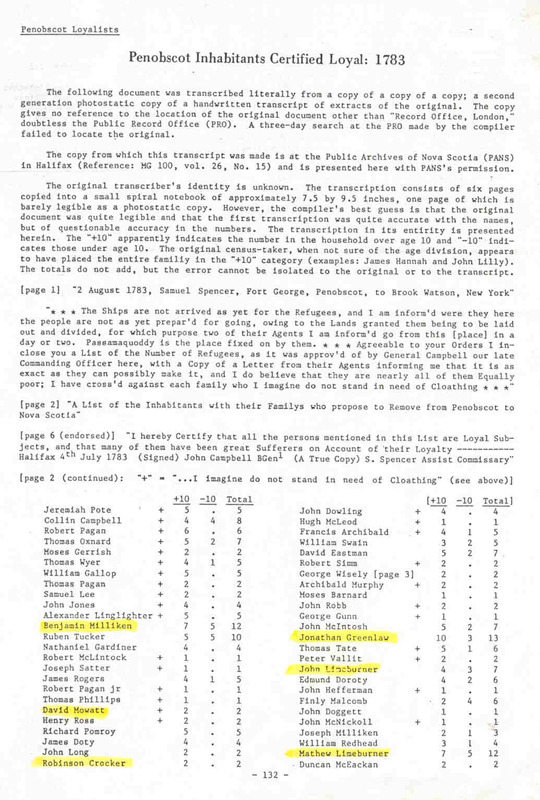 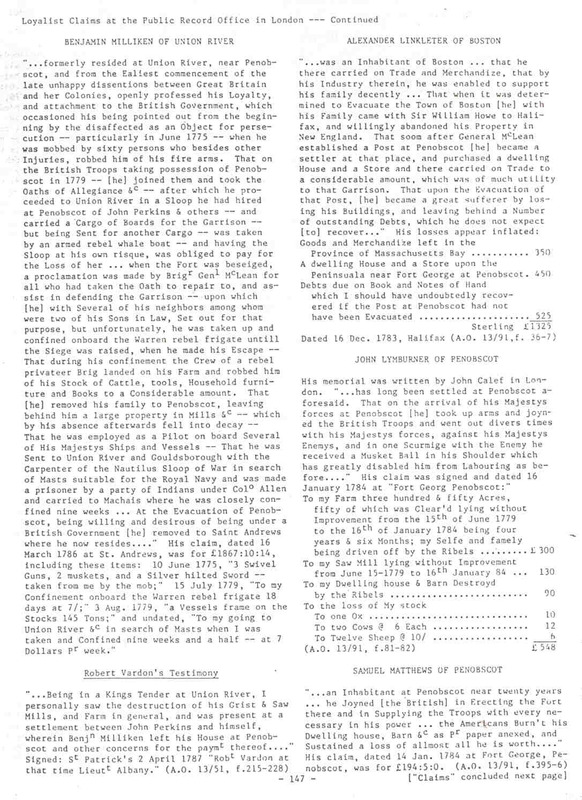 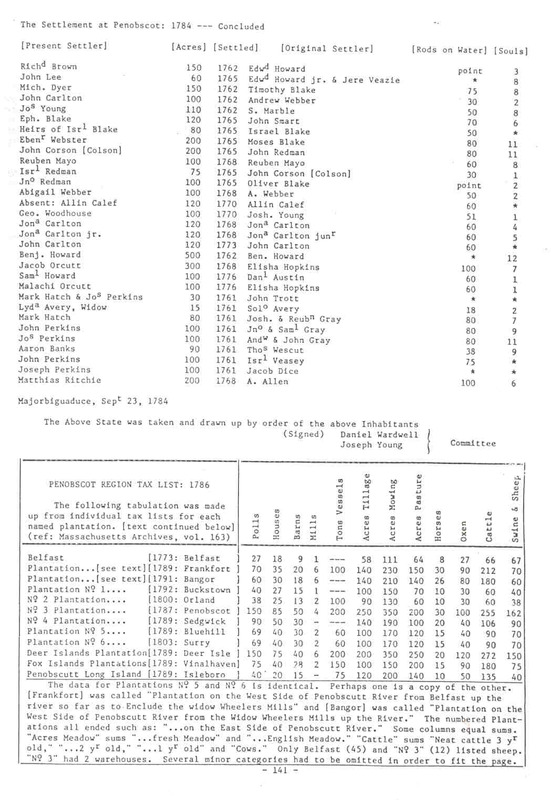 This material was published in the December 1983 issue of Downeast Ancestry (vol 7, no 4), a now defunct genealogical publication. 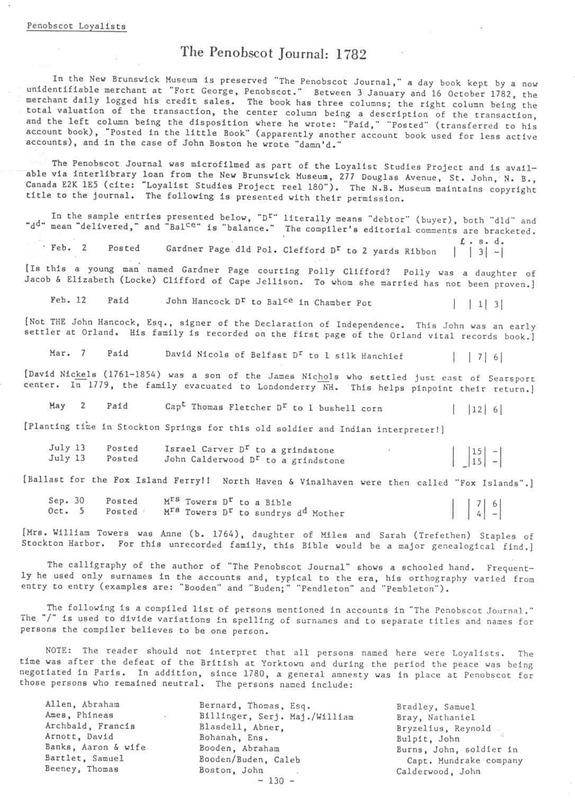 That issue was dedicated to the Penobscot Loyalists and I served as both author and editor of the material. 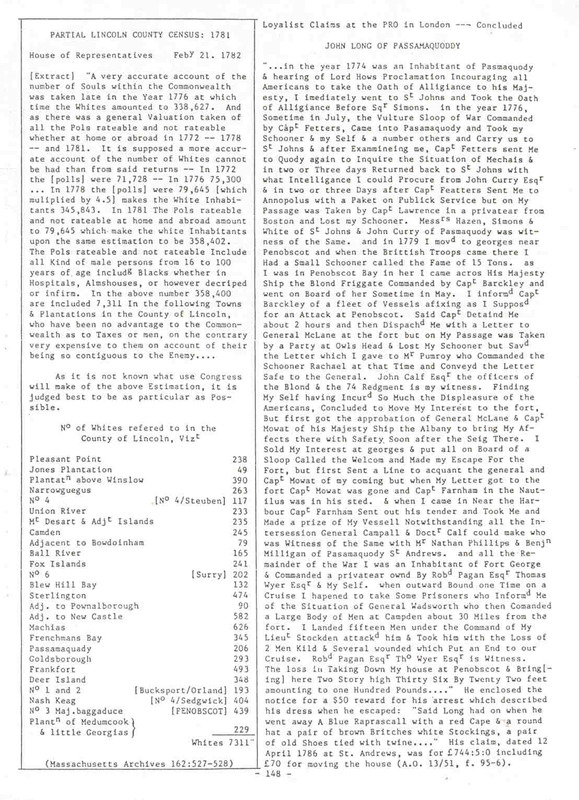 I have no objection to your postimg my copyright material providing you modify the web page naming me as author & copyright-holder and listing the publication. 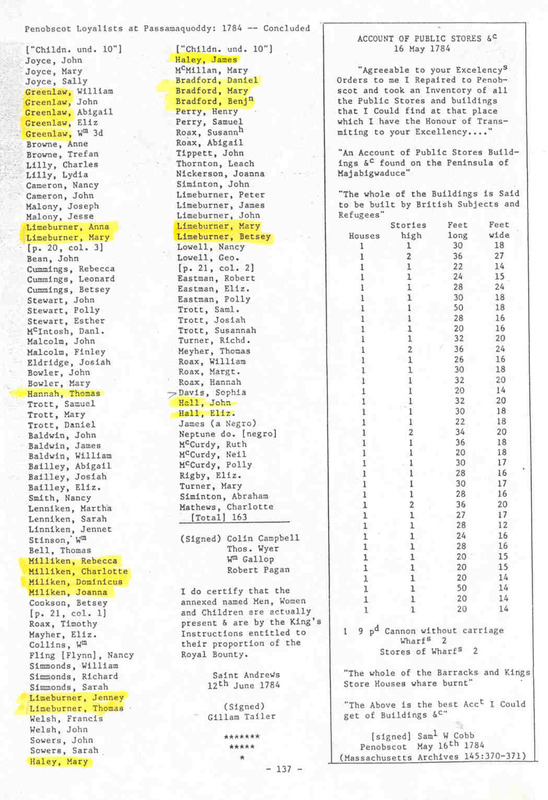 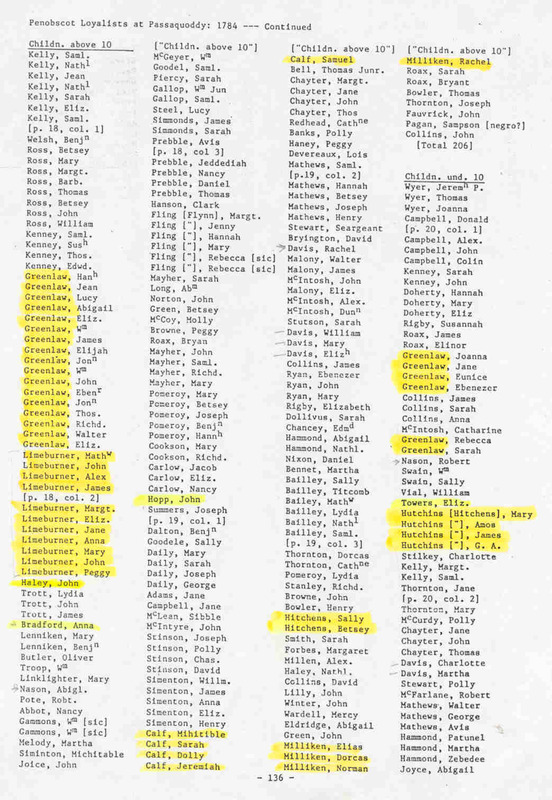 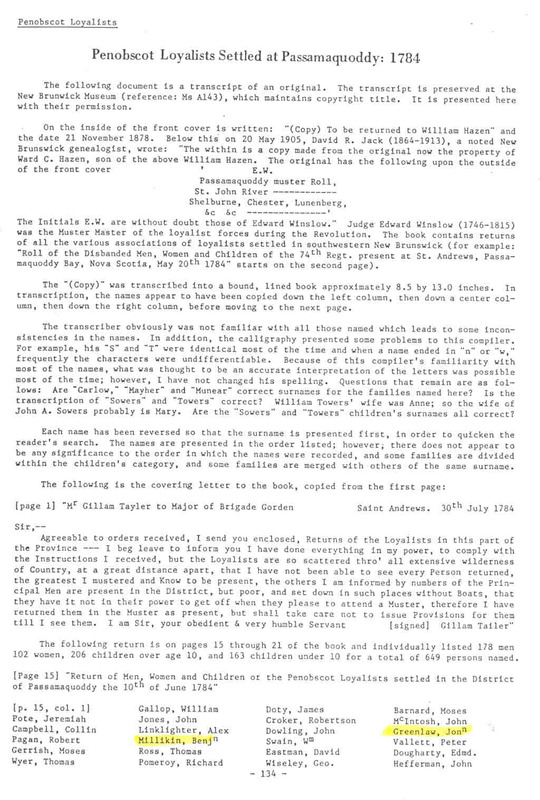 The numbering method refers to the pages in the original document. 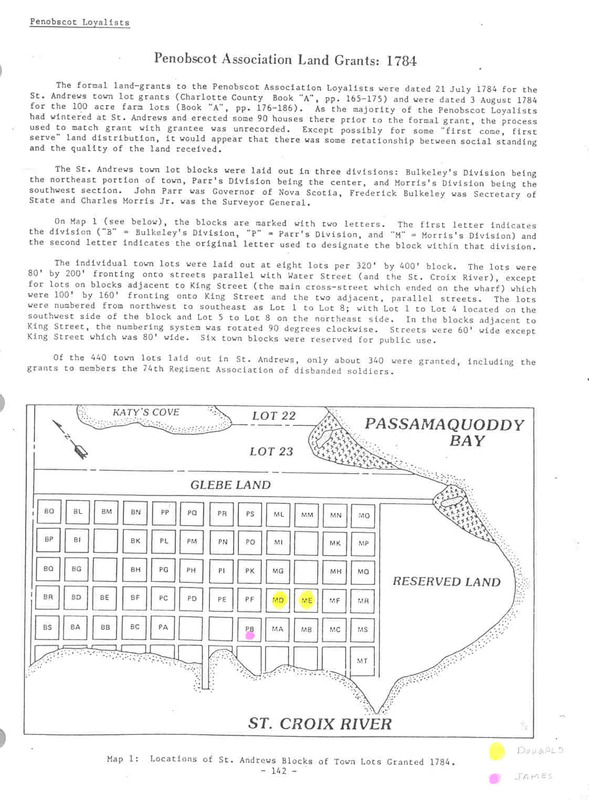 The colored marks are my method of identifying those that have been entered into my database at the time of scanning. 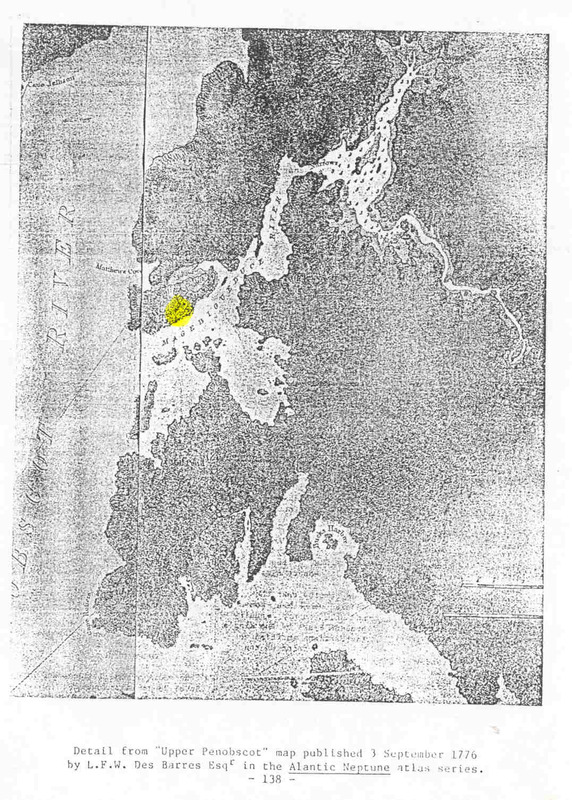 138 Map of "Upper Penobscot", yellow dot is location of Castine.